Ownership: Equinix owns the building. The Equinix Ashburn campus is the heart of the Northern Virginia (NoVa) internet ecosystem, one of the world's largest data center markets. The campus offers the ability to directly connect to the largest network-centric companies. Only a Cross Connect is needed to reach any customer on the campus, regardless of the building. Equinix's Ashburn campus consists of many buildings (table below) arranged in a campus environment. A simple cross-connect will reach to any other building on the campus. 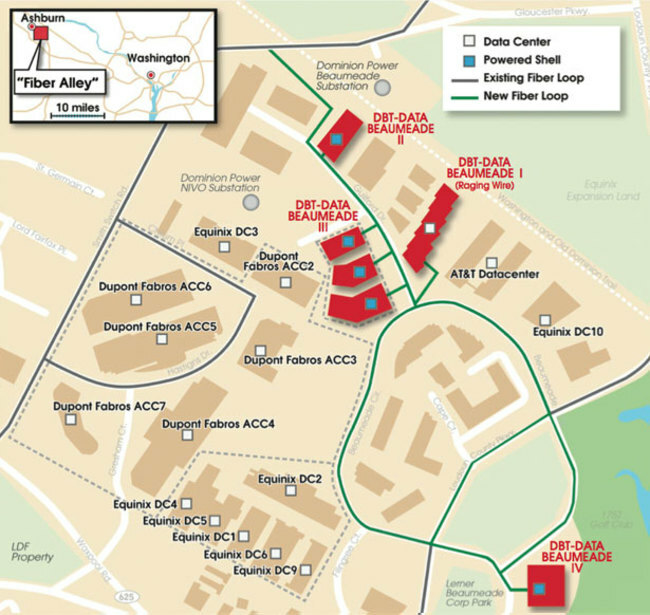 Equinix DC3 is located on the Dupont Fabros Ashburn campus. 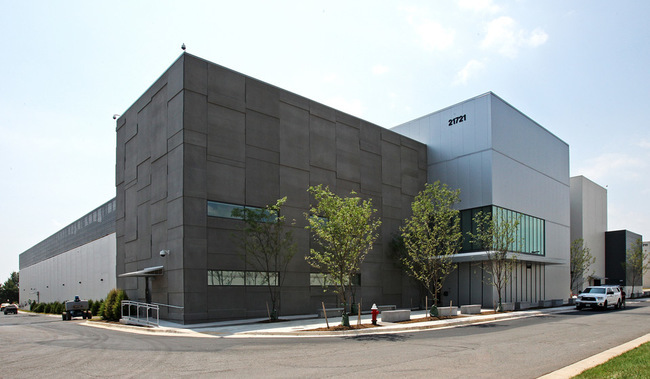 As part of the lease agreement, Equinix has access to multiple fiber conduits to provide cross connects from DC3 to the rest of Equinix's campus. Equinix sells "Business Suites" at DC10. Business Suites are dedicated rooms rather than retail colocation racks and cages which are intended for deployments larger than 250 kVA. 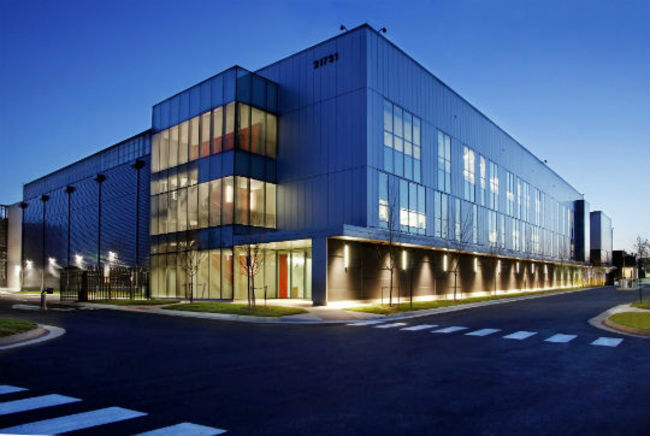 Equinix DC12, launched in October 2017, is an extension to Equinix's existing Ashburn campus. 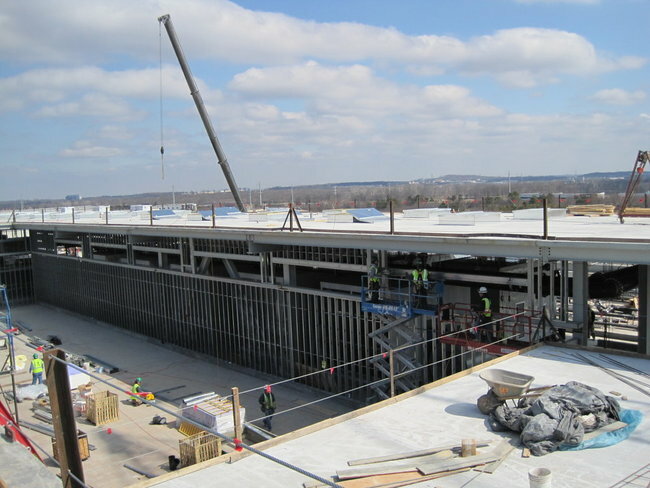 The first phase of DC12 will add 57,800 gross square feet of data center space in 2017. 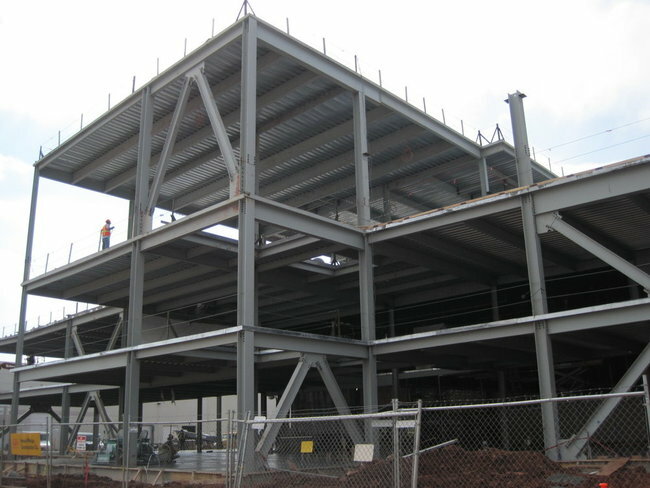 It is the first Equinix building on 44 acres of land purchased by Equinix in 2012. Equinix typically requires at least a full cabinet of space. Deployments that need less than a cabinet need to be procured from a reseller. We are creating a list of colocation providers in Equinix that can sell by the RU. Please email us with additions to this list.